Well after a server storm over the last couple of days we headed out for a hunt today. Not an early start as we figured we might be clearing roads to get around the forest, and boy were we right. We cleared dozens of trees with Beeman on the chainsaw and his son Neil and myself clearing the cut wood away. We did check several of the camera's but due to the nasty weather not many pictures this last week. After lunch we went back up to one of the wallows as a large tree had come down into the wallow so we spent a bit of time clearing it away to open up the wallow and gain a better view of it, now it is heaps better to sneak into. After that we decided to see if we could get over into another part of the forest and after removing several more trees we got out to the block we wanted to check. We asked Neil if he wanted to get on the back of the ute just in case there was an easy one off the road which he did . It was early, around 6.00pm or just after when we come around a corner on a big clear cut and I said "What's that ginger thing over there haven't seen that there before", Quickly Beeman had his sights on it but it was not a comfortable shot and missed, the stag never even lifted it's head from feeding ,Neil was onto by now and so was Beeman again and two shots went of just about as one and the four pointer dropped. Not sure who got it so it was a joint effort. After sorting the stag out we took off to another area and decided to do a drive by again as time was marching on by now, we checked a few tracks but nothing stirred. Then we hightailed it to another clear cut block trying to get there before dark. 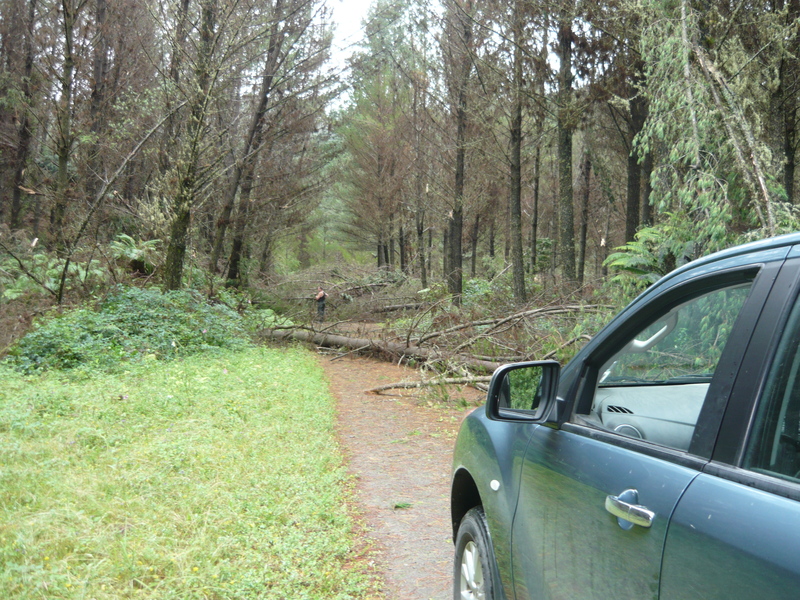 Lucky contactors had been in the forest and cleared the trees or we wouldn't have got there at all. 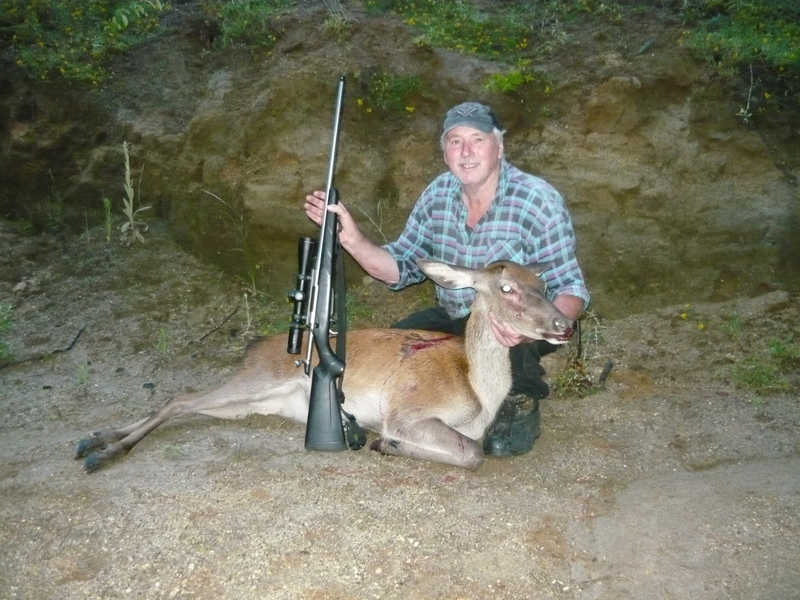 Once again we stopped before the block and got Neil on the back of the ute, as we started off we all saw something on the road a couple of hundred odd yards away and before we could do much two deer bolted for the thick stuff making good there escape. Off we went again down to the clear cut arriving at that magic hour right before dark. I bailed out and left the clear cut to Beeman and Neil while I took off down to another short track up to a skid site. As I neared the top I came around a corner to see a yearling up on a mound feeding, as I raised the rifle it turned and moved a few paces up then stopped which was when I fired and she tumbled down onto the skid. A couple of minutes later and the others arrived so we dealt to the deer while Neil checked another short track further along the road but no further animals were seen. So ended a busy but great day and a good start to 2018. 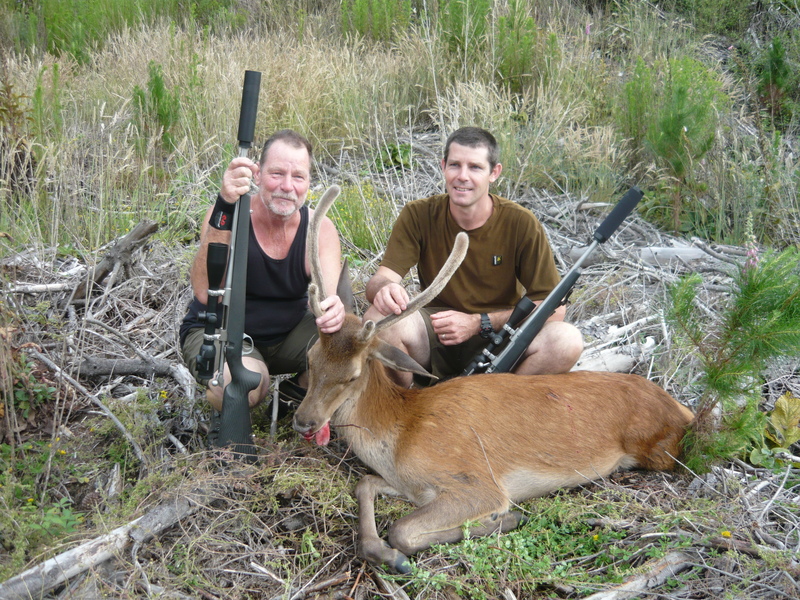 Tahr, veitnamcam, Kiwi Greg and 11 others like this. Thanks guys it was a choice day out in the hills, and yes Beeman those moderators certainly do have a place, just like what happened there.